This property is 7 minutes walk from the beach. The Waterfront offers modern luxury suites, a short walk from the popular Paihia Wharf and many fine restaurants. These stylish suites include fully equipped kitchens, and private balconies or patios. The Waterfront Suites include full laundry facilities, spacious lounge and dining areas, and full bathrooms with amenities. Internet access is available. The Waterfront features a heated swimming pool, a barbeque area, secure undercover parking, and concierge service. 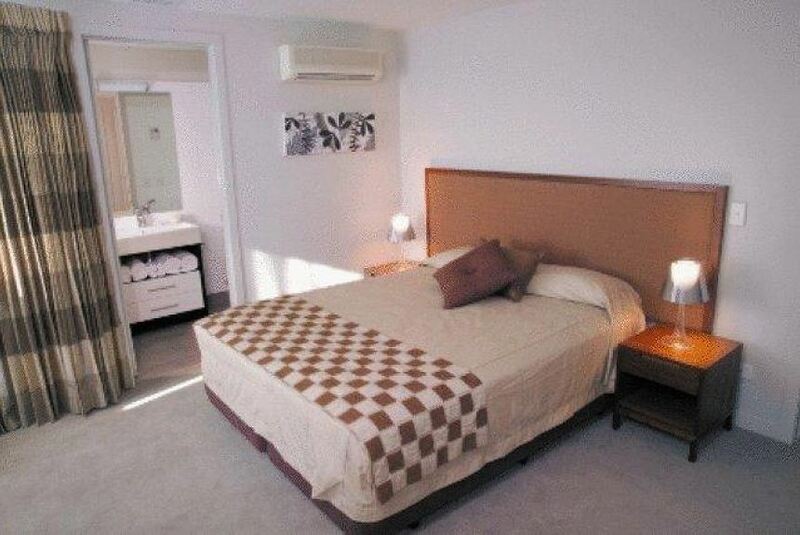 The Suites are in a great location for exploring the Bay of Islands and relaxing by the sea. Paihia is a 20-minute drive from Kerikeri Airport. Free parking is available.